The Union Station Redevelopment Corp. and partner companies Amtrak and Akridge were recognized by the Lambda Alpha International (LAI) organization with the International Skyline Award for 2015, Amtrak announced Wednesday. The award recognizes projects that have made progress in the improvement of urban areas. 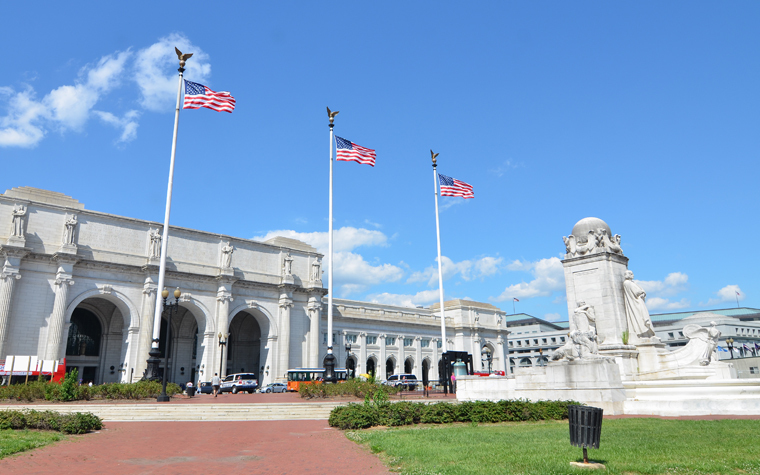 The awarding committee noted that this project's revitalization efforts with the preservation of the historic Washington, D.C. station in mind. The 2nd Century plan also exemplifies urban development and multi-modal transportation, the LAI board stated. LAI focuses on the encouragement and the study of land economics. The International Skyline Award recognizes projects that are nominated by the host chapter of the Land Economics Weekend. The International Awards Committee evaluates each nomination. “By tripling the station’s capacity, catalyzing the regional economy, and reconnecting Washington’s neighborhoods, this project’s breadth of public benefits matches the grandeur of its scale,” Akridge Vice President David Tuchmann said.